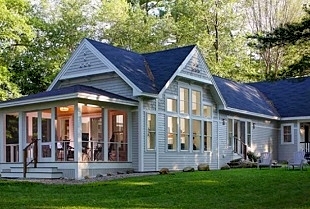 are built in Maine. A new home should reflect your personal design preferences, your lifestyle, be energy efficient, healthy for its occupants, and responsible to the environment. 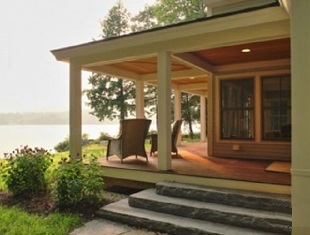 They are a small, family owned company and take a personal interest in the construction of your home. Greg Fitzpatrick, Inc. will only use the best available building materials and construction practices with consideration for your budget, to help make energy efficient construction and customization affordable for you. Greg Fitzpatrick lives in Orland, Maine with his wife Kelly and their Labrador retrievers Ruby, Sweet Pea and Reme. 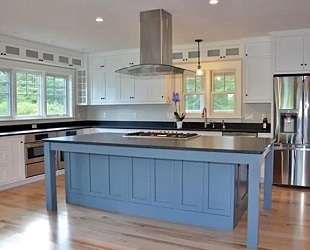 He and his wife work on custom home building projects from the Greater Portland area to the Lake Regions to most of Coastal Maine. 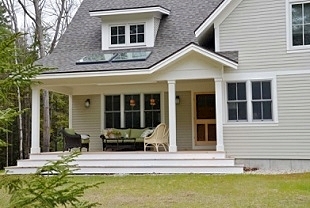 Kelly Fitzpatrick is an Associate Broker and Accredited Home Staging Specialist with Realty of Maine in Ellsworth, Maine. 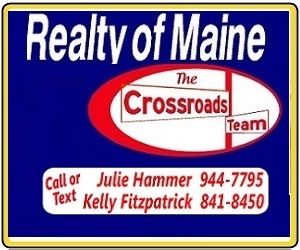 She partners with Julie Hammer as “The Crossroads Team” to serve clients with their buying and selling needs in the Bangor and Ellsworth areas. She combines her passions for house design, interior decorating, kitchen design and real estate working with Greg at Greg Fitzpatrick, Inc, Custom Home Builder.